Havenfall has been added to Tabletop Simulator! Anyone interested in playing the game with me, my Steam ID is Dabeco. All of the rules for the game can be found here. 25% OFF select sizes on t-shirts starting May 5th! Sales ends May 12th. ALL merchandise is 20% off for the month of February! Check out our shop to buy t-shirts and coasters with your favorite, adorable monsters. Sale ends February 29th. Get your Havenfall merchandise today! Welcome to the Havenfall website! 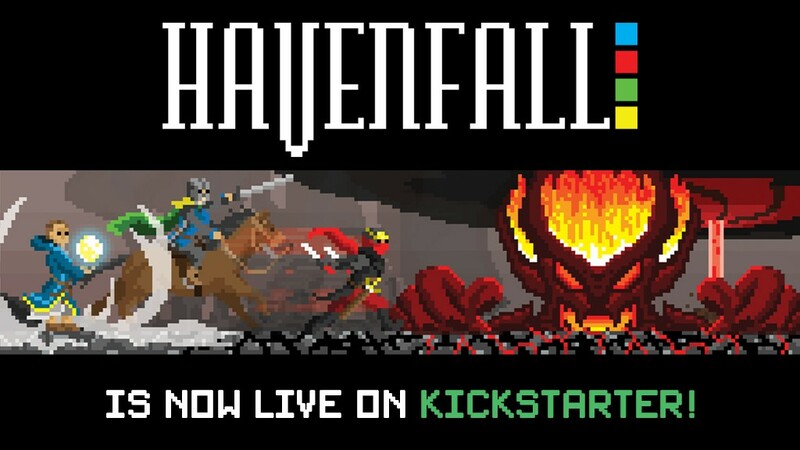 Havenfall is currently in development and will be launching a kickstarter in the next few months. Check out our calendar (“View All Events”) to learn more about up coming events conventions where Havenfall will be demoed. You may sign up to attend or just come down and play if there are seats available. You can also sign up for our newsletter to stay up-to-date on any big annoucements. Visit our store where you can find t-shirts and coasters of your favorite monsters! How Long Should a Havenfall Game be? I’m not a fan of games that go past 2 hours (just starts to feel like games are dragging out), and I aimed for Havenfall to be a game with a playtime set 15-30 minutes per player. One thing we have been getting feedback on from people who have a press kit is that new players say the game feels way too long (about 2 hours to 3 hours.) Any time you play/learn a game for the first time, the length of game play will inevitably be longer.